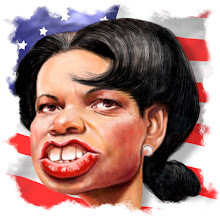 Catching up on arrears of caricaturists caricatures ( .. try saying that quickly !) - this is Paul Flatley a fellow member of ISCA who hails from 'Oop North' in England. Tried a few different ways of doing this - about 3 hours all up. hahaha great expression!! Your technique is so cool Terry. And the birthday collage, man, such a nice and strong work!! Hope we can change our caricatures in the future hhehe!! C ya. Wow, looks great!...he's gotta love that Tel!!! Thanks Nico - great doing a face with no editorial influence ! Cheers Kelly - he loved it - you'd better send me the 'ol Canuck dial so I can do a Gannon rendition when I get a chance. That's great Tel, was thinking of drawing him. Thanks Jan - always check round the 'bloggy world' and say hi ! Go for it Niall, he'll appreciate an O'loughlin. I had alot of fun doing it!!!!! Thanks Flats - I'll add a link to you - lovin' your live stuff of late ! Excellent Tel...Love it. Great likeness of Paul!!! 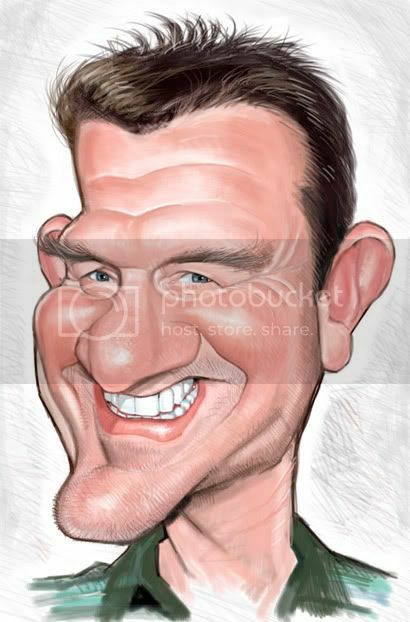 Cheers Wayne thanks for dropping by - Flats was fun a face made for caricature in more ways than one ! !